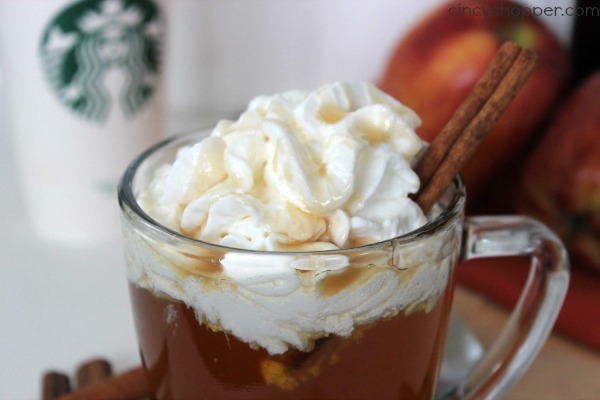 This CopyCat Starbucks Caramel Apple Spice Recipe is going to save you $$’s and trips to Starbucks. 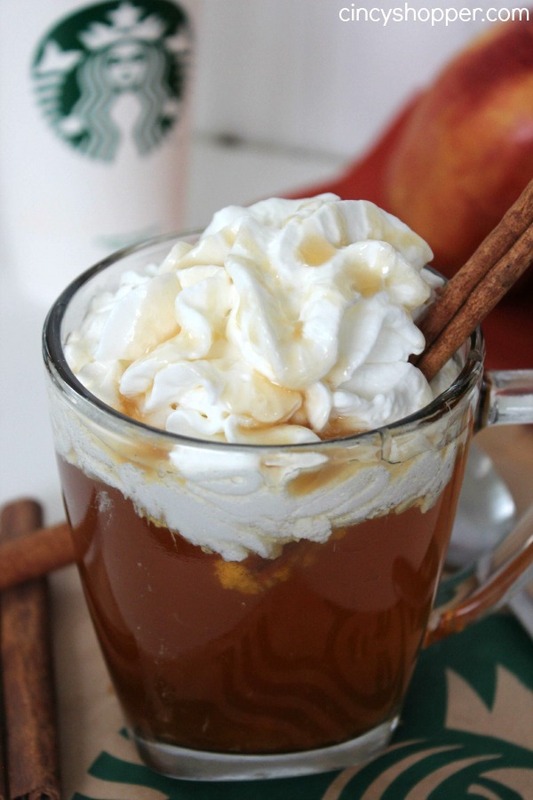 I absolutely LOVE Starbucks Caramel Apple Spice Cider in the fall. My all time favorite drink from Starbucks all fall long. 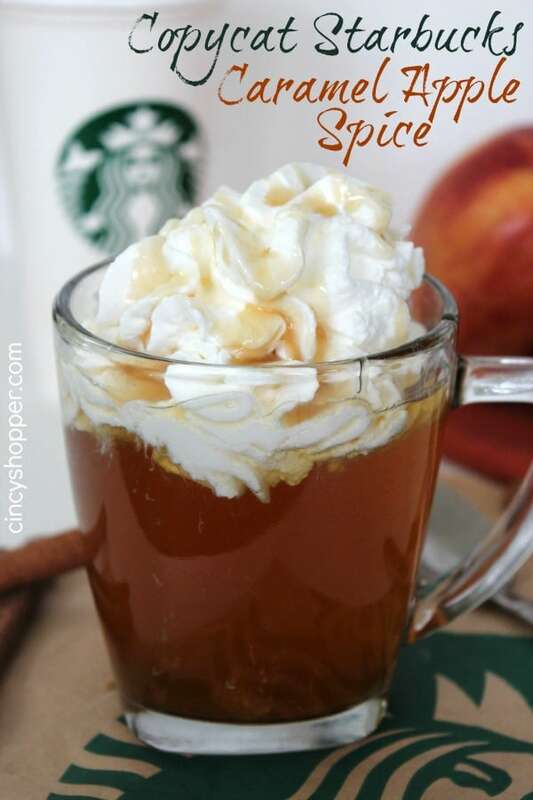 I shared this with you last fall and showed you how I made CopyCat Starbucks Caramel Apple Spice using the Starbucks® Cinnamon Dolce Syrup that you can purchase on Amazon or at your local Starbucks. 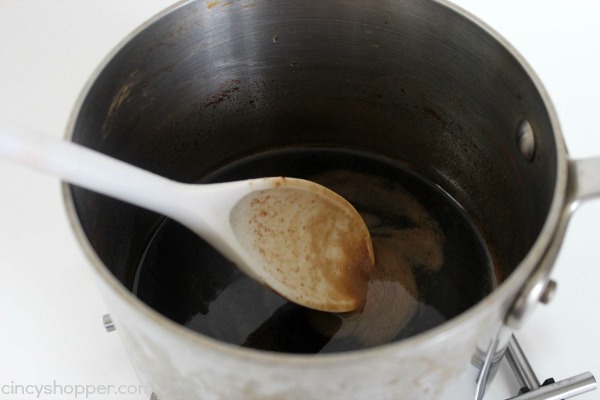 Since last fall, I have made CopyCat Cinnamon Dolce Syrup at home. After using up my bottle of store bought, I knew I wanted to save even more and make my own Starbucks Cinnamon Dolce Syrup. Apple flavored EVERYTHING is very common in our house during the fall and winter. As a child, I can recall always having apple cider and donuts very often, hence my addiction to Starbucks Caramel Apple Spice. The flavors are both sweet and tart. YUM! 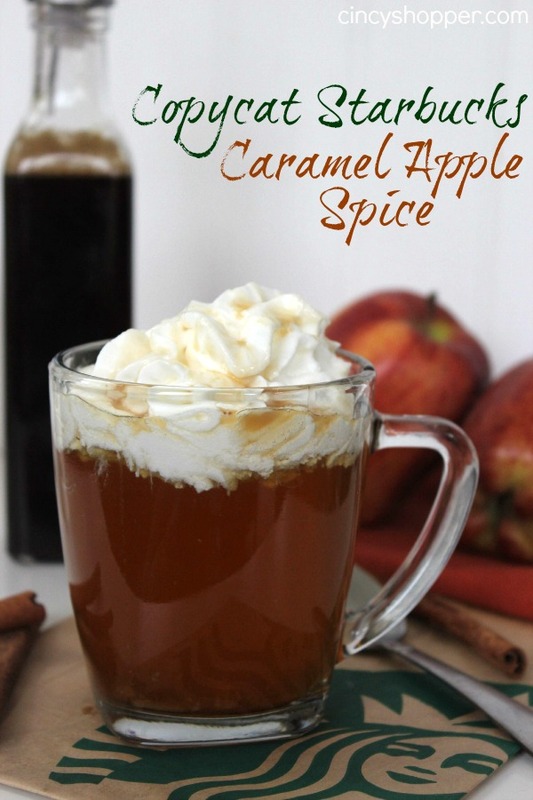 I love making my own homemade Starbucks Caramel Apple Spice. So much more convenient than taking a trip and spending $$’s that are not needed. 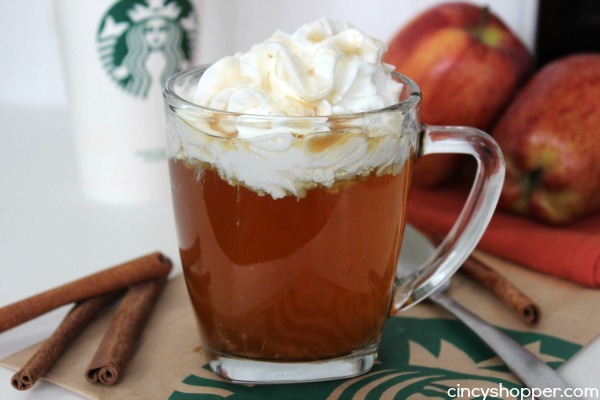 If you are a fan of cider or a fan of Starbucks Caramel Apple Spice, you will find this CopyCat Starbucks Recipe highly addicting, ha ha! Plus the ingredients are so simple. Heidi – you have to make the syrup first, then you add it to the drink recipe — which is also very simple. Make the syrup, then add it to the apple juice and microwave. This seems like a great recipe!! 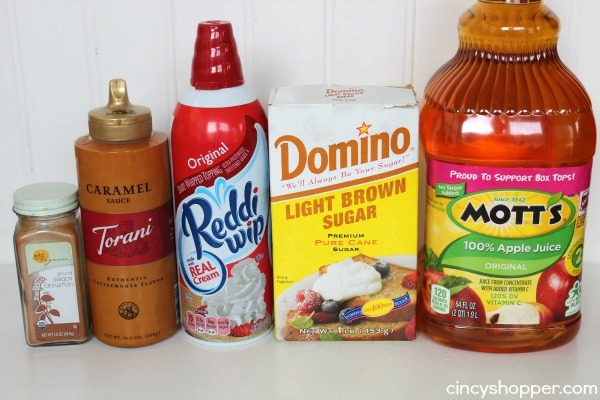 Would you recommend refrigerating the cinnamon dolce syrup? Approximately how long does it keep for? Same question! I made a big batch of the syrup. Wondering if I can freeze it? Perfect! I used slightly less sugar and added a splash of vanilla to my syrup. Thanks for the inspiration! Oh. My. Goodness. This is amazing! Tastes just like the real thing. Thank you so much for the recipe! I made the cinnamon dolce syrup and refrigerated it.By the third day it didn’t mix in the hot apple juice,just sat on top. Hi Pat! Go ahead and leave your syrup out on the counter to come to room temperature and it should help the problem.